36 Hours of Golf ~ Play On! Playing from dawn to dusk. And in 36 hours, you’ll have only scratched the surface on the challenging greens, forested fairways and beautiful signature holes. Championship mini or disc golf offer after hours relaxation. 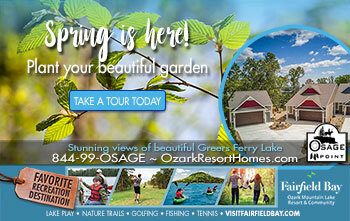 A beautiful taste of Fairfield Bay’s greenest adventure. Today is your introduction to Fairfield Bay. 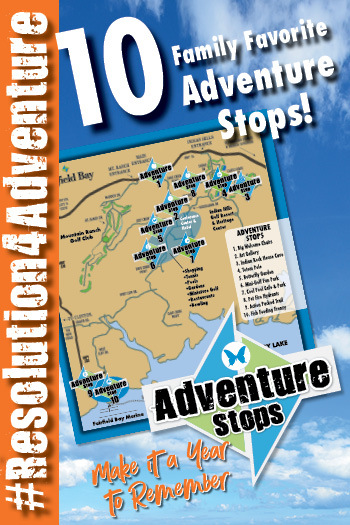 You will start at the Conference Center for a brief orientation of The Bay. Nix the temptation to linger on the deck or near the fireplace chatting with staff so you can get in your first round at Indian Hills Golf Resort. And no better way to start than by downloading the FREE app at FairfieldBayApp.com. Indian Hills Golf Resort (given 5 stars on GolfLink.com), is an 18-hole championship course located in the foothills of the Ozarks. And although the beauty of the course is undeni- able, it’s the unmatched high quality of the course design that sets it apart. 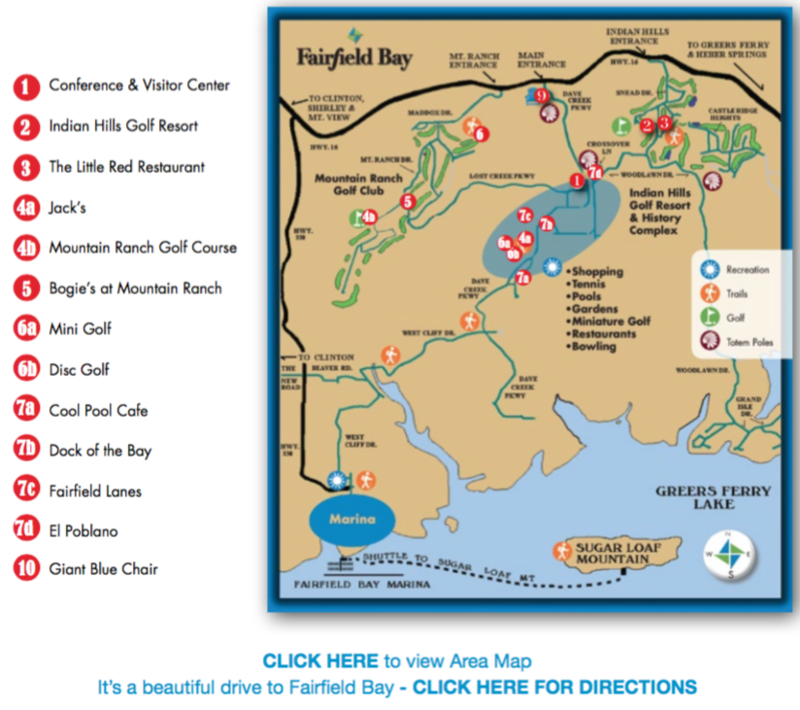 You’ll arrive at Fairfield Bay eager to get your first round started, but make time to stop at the recently renovated Fairfield Bay Conference & Visitor Center. You are here mainly for golf but don’t be surprised if you discover another activity that suits your fancy. 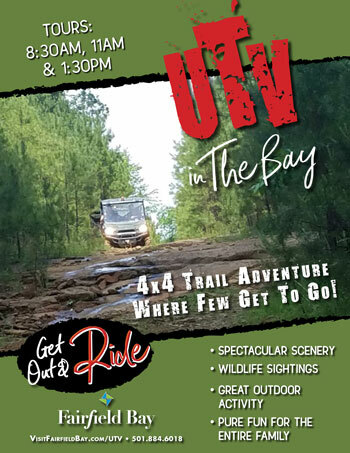 Special adventure tours with the local club or a live theater production happen often. You may be in luck and have one of The Bay’s signature festivals going on during your stay! Check out our calendar of events. Pick up area information and maps, and chat with center staff, who are ready to serve as your personal scheduler. They can make or change tee times, dinner reservations, and other tours. You may meet some locals with an invitation to join them in their foursome or for dinner later. We promise it will be difficult to tear yourself away for your tee time. Welcome to Indian Hills Golf Resort, an 18-hole championship layout located in the foothills of the Ozarks. Before you step onto the course, you’ll check in at the fully-equipped pro shop that o ers everything from apparel and accessories to snacks and cold beverages for the round. Our resident golf pro is available to share tips about the course and to help give some swing advice. The beauty and challenge of Indian Hills will take your breath away from your first swing. Be sure to check out the Indian Rock Cave located off number nine fairway. The nearby trail may tempt you to follow it around the bluffs, but you have a round to finish! Indian Rock House is a spectacular site dating back as far as 1,000 BC. 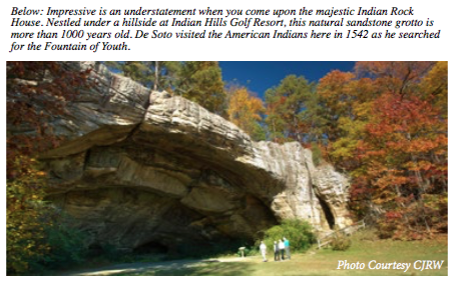 This huge natural structure served as a tribal meeting place where De Soto met with Native Americans in 1542 when searching for the Fountain of Youth. Look for petroglyphs, and imagine living in the shelter of this natural wonder. On the National Historic Registry, the cave has been the setting for modern day weddings and a golf cart drive-in movie during summer! If the hiking trail catches your fancy, stop back by after your round and follow it as it meanders among incredible rock formations with the bluff on one side and beautiful Indian Hills Golf Course on the other. The trail continues around some incredible rock formations with lots of nooks and crannies for youngsters and young at heart to create their own adventures. It meanders around, exiting behind the The Little Red Restaurant, adjacent to the Pro Shop. And if you want a nice local flavor, Indian Hills Golf Course welcomes you to participate in a 4 person 18 hole scramble every Friday. Sign up in advance to play by calling the Pro Shop at 501.884.6018. Impressive is an understatement when you come upon the majestic Indian Rock House. Nestled under a hillside at Indian Hills Golf Resort, this natural sandstone grotto is more than 1000 years old. De Soto visited the American Indians here in 1542 as he searched for the Fountain of Youth. The signature par-three seventeenth hole will have you hitting across a large ravine to an elevated green that slopes severely from back to front. You’ll finish tired but pleased by this challenging course. Drop by the pro shop on your way out to pick up a commemorative Fairfield Bay-embroidered pullover, vest or shirt. You’ll be ready for refreshment after your first outing at The Bay. May we recommend a locals’ favorite? Adjacent to the golf course with gorgeous views of the rolling hills of the links is The Little Red Restaurant. The friendly staff will make you feel right at home. Kick back, enjoy a welcome drink and tasty meal. After dinner, stroll the grounds near your condo, or take in a theater production. But we wouldn’t blame you if you turned in early after your first day. Today is all about you and your love of golf. You can spend the entire day on the championship golf courses, take a turn at miniature or disc golf, or choose to enjoy a myriad of other activities at The Bay. Mountain Ranch Golf Course at Fairfield Bay is as challenging as it is inviting. Golf Digest ranked this course #1 in the state. Stop by Jack’s to grab your morning “cup of joe”, a fresh, ready-made breakfast sandwich or his famous ‘made from scratch’ cinnamon rolls. This morning, you’ll be enjoying Mountain Ranch Golf Club, Golf Digest’s #1 resort course in the state! 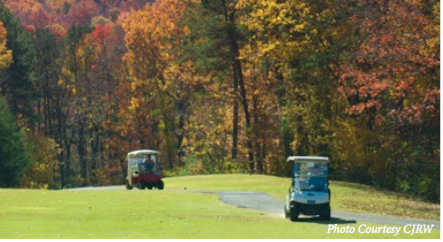 Mountain Ranch Golf Course is also part of Arkansas’ Natural State Golf Trail. Start at the warm and inviting clubhouse with a fully stocked golf shop. This course hosts more than five state golf championships and holds an exciting test for you. The front nine provides a gentle, sloping introduction to the course, while the back nine calls for precision and strategy to navigate a splendid yet dangerous string of holes. 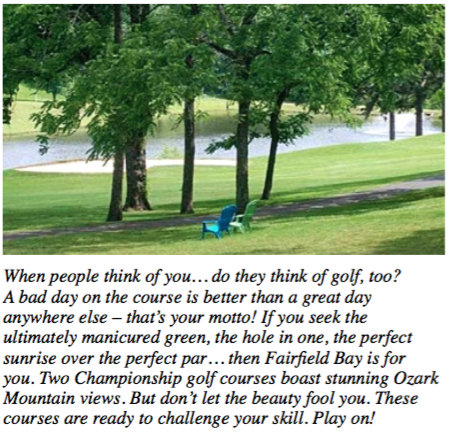 With one of Arkansas’s most challenging courses behind you, stop in for a terrific lunch at Bogie’s at Mountain Ranch. Enjoy good fare and a relaxing view of the driving range and putting green as you ponder which course to challenge next. Go another round at Indian Hills or Mountain Ranch. These gorgeous courses feature the best of the beauty and challenges of the Ozarks; they are not too busy for you to make a last minute change in tee time. Or, if you’d like to take a break from the “big courses,” you could opt for miniature golf or disc golf at Woodland Mead Park (shhhhh, we won’t tell). Plenty of options to choose! Professional 9-Hole Disc Golf course is new and waiting for you. The Cabana has all the tools and rules you need to get you off and “throwing”. Through the woods, around the trail and even in view of some beautiful gardens, the course offers good exercise and a family adventure. 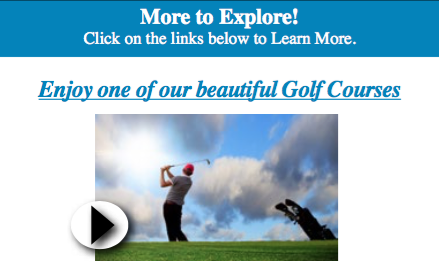 Two miniature golf courses are distinctly different from other putt-putt places. Players who like a creative challenge will want to start at the Harris Cup certified course, with spectacular water features and award- winning landscaping. And if you want another challenge, hold onto your clubs and place your bets on who is the best at navigating the trees. The second course winds its way through a real forest! In between the miniature golf, you’ll find yet another distinguishing feature of Woodland Mead Park—a unique 9-hole disc golf course. It’s in the woods and crosses the hiking trail, so you might meet some other families out for an adventure. Love the greens? 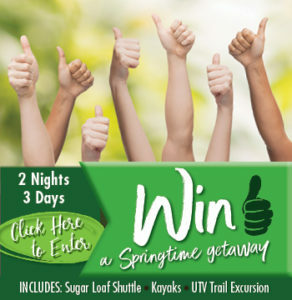 Want to grab a season pass for families, couples or individuals? Ask at the Cabana right there in Woodland Mead Park. Players will enjoy nine, par-3 holes that are family-friendly — but don’t mistake that for easy! This course will definitely leave you eager to return soon and try to lower your score. The course layout is designed so that rather than staying hidden in the woods, it emerges to come uphill and loop around the gardens of Ed Leamon Park. Designed by professional disc golfer Doug Trantham, Doug likes to install a signature hole on each of his designs and his singular showpiece for the Woodlands Course is a basket placed atop a giant rock formation. Join us each Spring for our professional disc golf tournament. Visit www.discgolf.com for more information or take a look at some instructional videos. There are many choices for dining at The Bay. The Cool Pool Cafe offers great sandwiches and sits poolside of the best lake view in The Bay. Or consider a sandwich or dinner to go. Sunset at the Marina is a sight to behold. 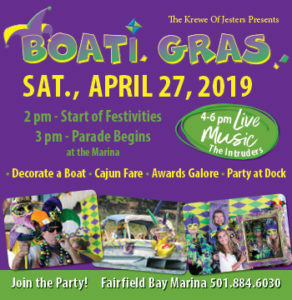 Grab a nearby bench to watch the action on the water, or rent a pontoon boat for a sure fire way to get the best view for the evening. Either way, you’ll wonder at the beauty of the setting sun over Greers Ferry Lake. You can take your picnic on the beautiful lake shore, or venture up to Ed Leamon Park for a different evening view. These award-winning gardens were created by the Van Buren County Master Gardeners. Enjoy your picnic dinner and wander through the rose and butterfly garden. Look for the relaxing water features and natural boulders. The early evening light makes for beautiful photography. You may be ready to turn in for the night, but if you’re still craving entertainment, The Bay offers fun seasonal opportunities: the outdoor amphitheater features live music and events, check out what’s playing at the Visitor Center’s movie house, how about a “dive-in movie” (after dark) at the BayView Pool and Grill. You may even be lucky enough to catch an Our Towne live theater production. Unwind on your condo balcony with a bedtime libation, and let the tree frogs and crickets sing you a lullaby. Sweet dreams! Make the most of a beautiful day in Fairfield Bay, where every day is FUN day. The greens are calling and a must stop on your itinerary should be The Bay’s iconic photo op. Burgers are a Bay specialty. Lots of choices and plenty of great eateries. An early tee time means you can get in one last round and a few other activities before you depart. Which golf course will you return to end your stay? Regardless of which course you pick, soak in the beautiful Ozark atmosphere and recall the events of the past two days. 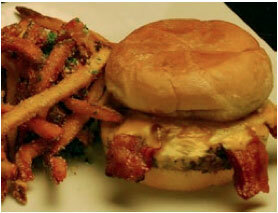 Burgers are a specialty for many of The Bay’s eateries. Dock of the Bay, The Little Red Restaurant or the Cool Pool Cafe all offer unique takes on a golfers favorite road food. Make one final stop at The Bay’s giant blue chair. This iconic sculpture is the ideal spot to take a parting photo to help you remember your visit. As you wave goodbye to Fairfield Bay, vow to return soon. Click on the links below to visit our officially verified Facebook pages for the following amenities.